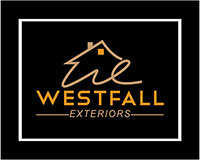 If you’re looking for a hole drilling service, look no further than Westfalls Exteriors. We’re equipped with the tools to get the job done. We have a large assortment of augers that are suited for just about any job. Call Westfall Exteriors today to talk to us about drilling fence post holes. Complete the form on this page to receive a free, no-obligation, on-site estimate at your convenience.